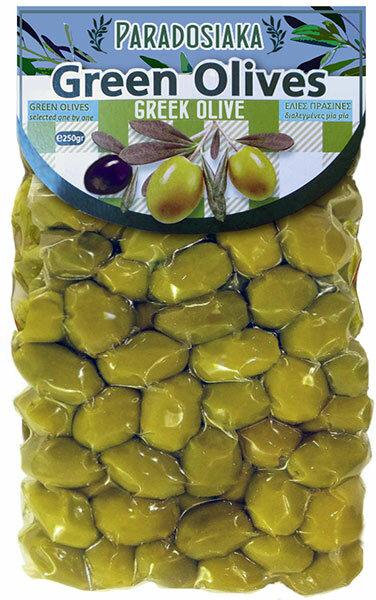 Production of olive oil soap begins by mixing the raw ingredients for several days in large circular ‘cooking’ tanks. 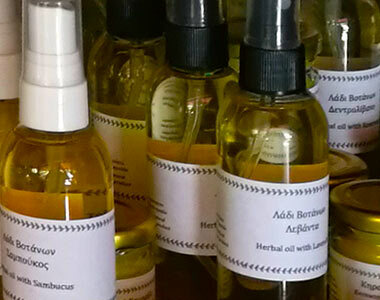 After cooking, the liquid soap is poured directly on to the cold surface and left to cool. As it solidifies, individual bars are cut. After the cutting, the soap is then stacked in small square towers for drying process. 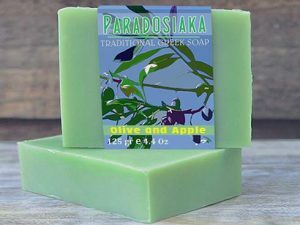 The Paradosiaka factory produces only traditional olive oil soap with added herbal or fruit extracts, which are popular in USA and Europe.